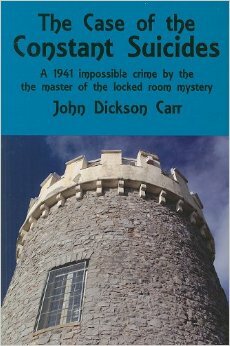 John Dickson Carr wrote just shy of 80 books and, since he is the finest practitioner of detective fiction the world has ever seen, you would like to know where to start in this cavalcade of brilliance (because some of them are bound to be, er, unbrilliant). I am here to help. Whatever you decide, plenty of enjoyment awaits. 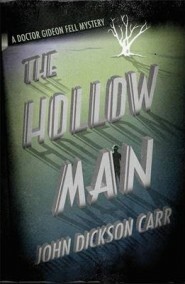 And share your experiences…Carr needs some love, maybe we can get him back in print after too much neglect. Happy reading! Disclaimer: Opinions are my own, I’m not saying these are the best five Carrs just the order I would recommend starting his catalogue, produced in a factory that also wrote Papa La-Bas. Very nicely done JJ, there are all marvellously entertaining 🙂 Not going to disagree with any of the these in fact, but I look forward to THE JUDAS WINDOW, HE WHO WHISPERS, SHE DIED A LADY and HE WOULDN;T KILL PATIENCE and many more being added in the future! Still can’t track down a copy of …Patience, but the others and more will be coming. Just need to work out how, since there’s also so much more to write about. Dammit, why did no-one warn me about how difficult blogging is? Well in a rare sci fi moment all I can say is ‘Resistance is Useless’ (Hitchhiker’s Guide). They all sound really good. I’ll have to look out for them in my next book hunt. Good hunting; any Carr you can find is worth buying, mainly because you can’t currently guarantee that you’ll ever find it again. I have friends on three continents looking for me, as it seems the only way I’m going to track everything down without bankrupting myself. I’m always amazed as to how virtually every other reviewer’s list of recommended Carr novels introduces a title I have yet to hear of. And in your case I’ve heard, for the first time, of ‘Death Watch’ and ‘The Man Who Could Not Shudder’. Yeah, everyone will be able to suggest a different Carr, especially with so many to choose from. An overburdening of drama does tend to feature in his earlier stuff – aspects of The Plague Court Murders I won’t contest, and much from from the same period as well (e.g. The White Priory Murders) – but after a while either you stop noticing it or he just got better at working it in. Not really sure which. …Suicides and …Shudder certainly aren’t thus affected, anyway, so they’re good places to go to if you wish to avoid it. If I recall correctly, the Carr novel I read after ‘Plague Court’ was ‘Judas Window’, which I felt to be much better managed in terms of its dramatic qualities. Though contrary to quite a few reviews I’ve read, I wasn’t especially impressed by the mystery plot. But it was sufficiently enjoyable to encourage me to embark upon three more titles: ‘Emperor’s Snuff-Box’, ‘She Died a Lady’ and ‘Till Death Do Us Part’. ‘Emperor’s Snuff-Box’ and ‘Till Death Do Us Part’ were both quite intense, but the drama gelled well with the substance of the story. I too am not as big a fan of the locked room in Judas Window as others seem to be, but overall I think it’s a very, very good book and there is one particular element that I absolutely adore (which may have to wait for the review that is swiftly becoming more and more inevitable). Pingback: The Man Who Could Not Shudder by John Dickson Carr – Mysteries Ahoy!